The purpose of the American Association of Law Libraries vendor relations policy is to direct the Association's advocacy on issues related to legal publishing and legal publishers. 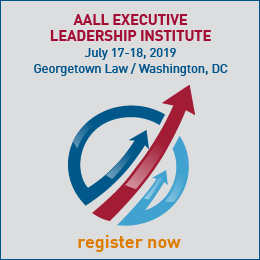 The policy provides guidance to the work of the AALL Executive Board, the Committee on Relations with Information Vendors, the AALL Staff and other AALL entities that interact with legal publishers and monitor issues relating to legal publishing. 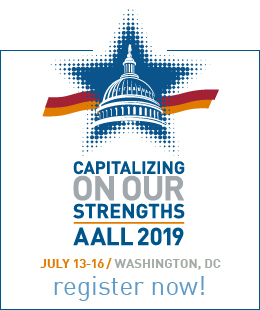 AALL supports the Federal Trade Commission's Prenotification Negative Option Rule and advocates its expansion to include online subscriptions and digital materials for individual and institutional consumers. The Principles & Practices for Licensing Electronic Resources provides guidance to librarians in their negotiations for access to electronic resources and informs vendors of electronic products about the licensing issues that are important in the library context. AALL encourages all publishers of electronic legal information to conform to these principles. The AALL Preservation Policy supports standards and guidelines that ensure the preservation of legal materials. The Association communicates the needs of its members for permanent, durable materials to publishers and vendors in order to increase the longevity of products offered to law libraries. The Association supports the design and use of coherent strategies for archiving digital information and adapting preservation to new technologies. Many of the publishing and customer services issues that are most critical to law librarians are covered by the AALL Guide to Fair Business Practices and the Principles & Practices for Licensing Electronic Resources, noted above. The intent of the vendor relations policy is not to reproduce all those issues but rather to cite the resources that are already policy by virtue of their publication and adoption by the Executive Board. AALL encourages legal publishers to maintain subscriber-paid content throughout the term of the subscriber's contract and not allow that content to disappear from future contracts without notice.